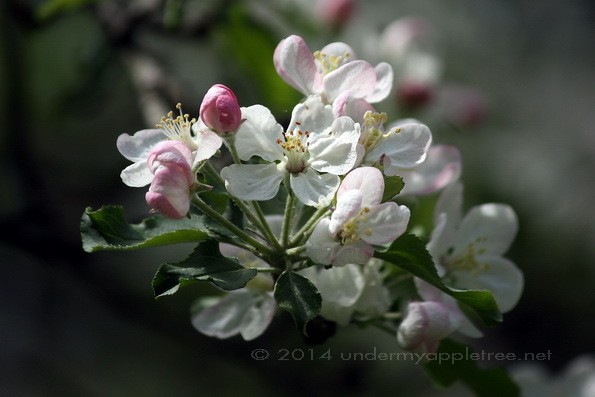 Almost wordless: My apple tree made few flowers this year and none of them photo-worthy. These blossoms are from a tree in the park that was just filled with beautiful blooms. What a lovely flower, great shot! Beautiful pic, Leslie. I love the lighting. Our Magnolia had about a tenth of the usual amount of flowers after the ridiculous winter we just came through. So pretty. I love spring and fall. Beautiful photo. My apple trees are barely barely beginning to blossom. I am trying to assess winterkill in my garden. A symbol of spring, and so perfectly lovely! Great shot and very fitting!